Diseases that affect the stomach and intestines are extremely common in dogs. They run the gamut of infectious diseases such as bacterial, viral, and parasitic, to noninfectious disorders such as tumors, bloat, and obstruction. The symptoms are usually pretty obvious: vomiting, loss of appetite, foaming at the mouth and drooling, abdominal bloating, diarrhea, constipation, or changes in behavior like listlessness are all typical signs of gastrointestinal (GI) distress. Some stomach ailments are the result of disease, parasites, or viruses that can be prevented with the proper vaccines. Visiting your vet to keep up to date on all shots and vaccines is imperative. One of the most common viruses, Parvo, is especially common in puppies as they lack a fully developed immune system to ward it off. Toxic treats are a big issue with dogs! Some usual suspects include chocolate and poultry bones, along with 31 other big no-nos. Keep these foods and items out of your pet’s diet. Bloat is a potentially fatal condition for dogs. Usually occurring when a pup eats too quickly or too close to physical activity, bloat is a common and devastating condition. Foreign body obstruction (FBO) is essentially when your dog has eaten something he/she shouldn’t have, and it lodges in the GI tract. 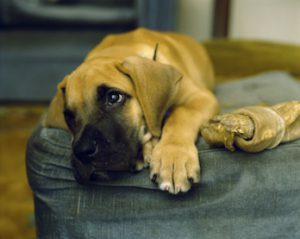 Make sure toys, foreign objects or plants, and other accessible items are puppy-safe (socks especially! ), or puppy-proof your home. Get to the vet immediately if you suspect your dog has swallowed something that is not meant for canine consumption. 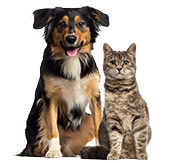 Pets can also suffer from GI conditions very similar to human disorders: inflammatory bowel disease, gastritis (inflammation of the stomach), stomach ulcers, and cancer of the digestive system all share similar symptoms, one of which is diarrhea. Stress, change of diet (even within the same brands), anxiety, and change of environment can cause stomach upset. Caused by inflammation, medications, or consuming high fat foods, pancreatitis can be fatal in extreme cases. Most notable signs include vomiting, diarrhea, low energy and belly pain. Avoid feeding off the table, as well as overfeeding. 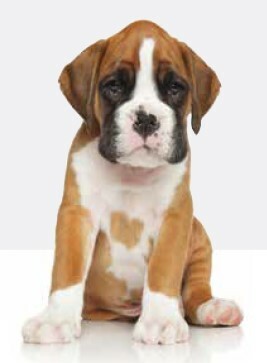 A pet parent called in a stomach issues claim for her Boxer puppy: he had started eating rocks. He managed to ingest 6 or more rocks without his mom’s knowledge. It wasn’t until he began to throw up a few stones that the pet parent was able to take action. The poor pup ended up having to have the remaining rocks surgically removed, a $4,000 procedure that was covered by her Healthy Paws policy. Keep lots of clean, fresh water around the house so your dog stays hydrated. Dehydration can lead to a variety of stomach issues. Space out dinner time and walk time – don’t exercise your dog heavily 1 hour before or 1-2 hours after eating. 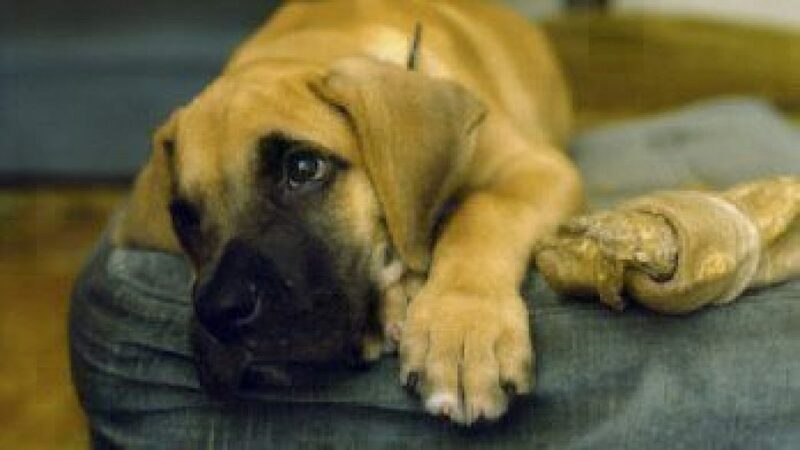 In addition, your dog shouldn’t consume single large meals and large quantities of water at one time. Visit your vet to get all the necessary shots and keep them updated. Lock up human foods and medications, keeping them out of your dog’s reach. This may even mean the garbage can! If it’s an emergency, call the vet as soon as you can. You can also call the Pet Poison Helpline. Check out our Cost of Pet Care Report to see just how common stomach ailments are in dogs and how much the treatment can cost.